I have been making arrow heads..... and getting back into archery again, this time with the long bow. I will be going for an informal assessment at the guild of traditional bowyers and fletchers at the end of the month, with the aim to (hopefully) become a master arrow smith next year ....all being well. 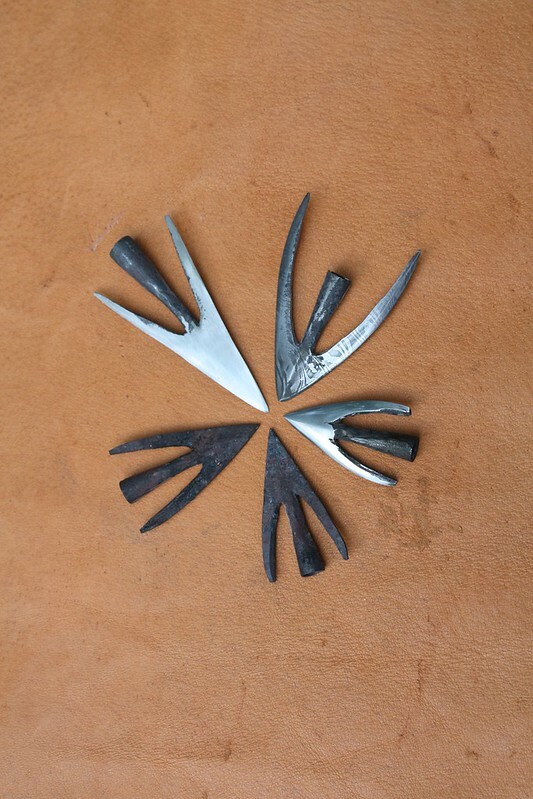 Here are a few swallow tail arrow heads. 3 finished and 2 in the rough. 4 of them are bloomery material and one is twisted damascus. What are you doing digestion?